Xi Jinping’s strengthening grip over China’s domestic and foreign security policies should lead to an increasing (predictable) presence of the Chinese military overseas and a tighter control of political elites and civil society at home. With Xi Jinping removing the practical and legal limitations to his personal rule over the entire country, China’s security will increasingly be influenced by the philosophy of the current chairman. For the medium and long terms, this could mean a larger (and predictable) military presence overseas where Chinese interests are at stake, and the tightening of domestic security measures as a way to better control political elites and civil society. 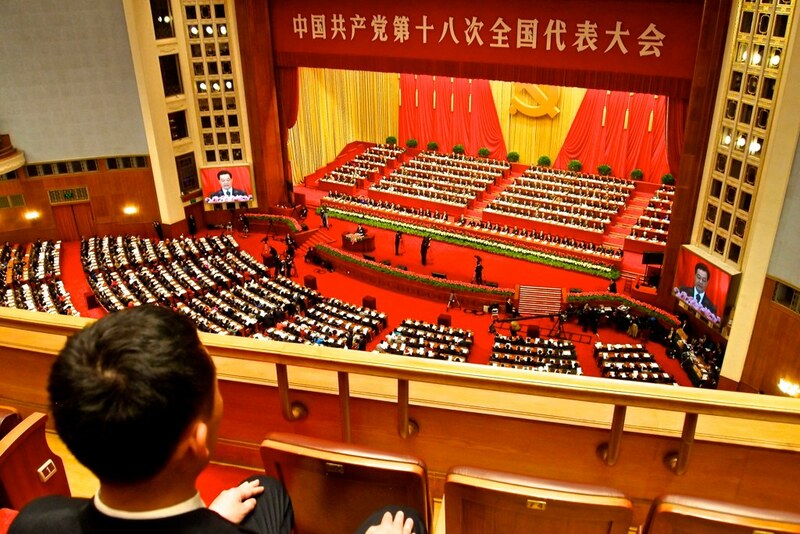 On 11 March 2018, the annual National People’s Congress (NPC) amended the Chinese Constitution to remove the two-term limit on the presidency, allowing Xi Jinping to seek a third mandate in 2023 (and more beyond that). The 1982 Constitution of the People’s Republic of China (PRC) instituted a two consecutive term limit to the rule of key political figures within the country’s institutions: President and Vice-President of the PRC, Chairman and Vice-Chairmen of the NPC’s Standing Committee, Premier, Vice-Premiers and State Councilors at the State Council, President of the Supreme People’s Court and Procurator-General of the Supreme People’s Procuratorate. In essence, this Constitution was designed to impose an administrative turnover in the country every 10 years. According to Chris Buckley and Adam Wu, “the politicians and legal experts who drafted China’s 1982 Constitution saw lifelong tenure as a recipe for tyranny, especially in a one-party state.” This philosophy of power limitation seems no longer valid in the Xi era as the current Chinese leader may remain in power beyond his two terms. Chairman Xi, a leader for life? Xi is not only China’s president but he also has a wide array of other titles ensuring his grip over the country. His most important title is general secretary of the CPC, granting him control of the party and, by extension, the entire government. Among his other notable positions is the chairmanship of the Military Commission, which oversees the entire nation’s armed forces. In short, Xi Jinping’s many titles grant him full authority over the country’s domestic and international security policies. Additionally, the alleviation of political opposition within the PBSC took off most of the checks against his personal rule. The People’s Daily (Renmin Ribao), the official newspaper of the CPC, attempted to justify the removal of the two-term limit to the Chinese presidency by explaining that the goal is to respect the “three in one” (sanwei yiti – government, party, military) leadership system in China. Indeed, if government terms were limited until now, it was not the case for leadership positions in the CPC and the People’s Liberation Army (PLA – the Chinese military). For the People’s Daily, the latest constitutional amendment was necessary to maintain the consistency of this leadership structure. In practice, however, it simply removes the usual 10 years limitation to the rule of the main figures at the head of these three institutions. This decision, although largely endorsed by the Chinese legislature and state media, sparked criticism across the country, with high-profile personalities such as Li Daotong (former China Youth Daily editor) and Wang Ying (a popular businesswoman) expressing a rare public dissent. In any case, even if it remains unclear how long Xi Jinping intends to remain in power for, he just managed to remove the main legal hurdles limiting his personal rule over the country and its security policies, in the short, medium and long terms. If Xi Jinping is to decide China’s security policies for the coming decades, it is important to understand his personal views on both domestic and international security issues. From an international security standpoint, China’s rise to superpower status gave it an unprecedented leverage over the international community. This notably materialized with the country’s “active defense” policy in its “sphere of influence” (the South China Sea in particular), and with a renewed willingness to oppose (veto) “Western propositions” within the framework of the United Nations (UN) when they go against Chinese interests or values. Therefore, after decades of Chinese low-profile attitude in international institutions (China did not have a history of vetoing resolutions in the UN Security Council until 2011), Xi Jinping rose to the international stage as a leader ready to challenge “Western proposals” every time they clashed with China’s foreign policy principles. The chairman’s attitude during the Syrian crisis (vetoing proposals for international military interventions) exhibited his intent to enforce the respect for other countries’ territorial integrity along with the non-interference in other countries’ internal affairs, two core principles of China’s foreign policy since the mid-1950s. Moreover, even though Xi Jinping always stressed that his country will never seek “hegemony or expansion” in the Asia Pacific region, the Chinese leader has been proactive in increasing China’s military presence across the region, to the point of clashing with neighboring Asian nations. Since taking office in 2012, Xi has initiated a military buildup in many islands located within what China has defined as the “nine-dash line” – that is, the geographical area on which Beijing claims “historical rights.” China has thus nurtured conflictual relationships with Vietnam (over the Paracel Islands), The Philippines (over the Spratly Islands), Japan (over the Senkaku/Diaoyu Islands further north the line), among other countries. 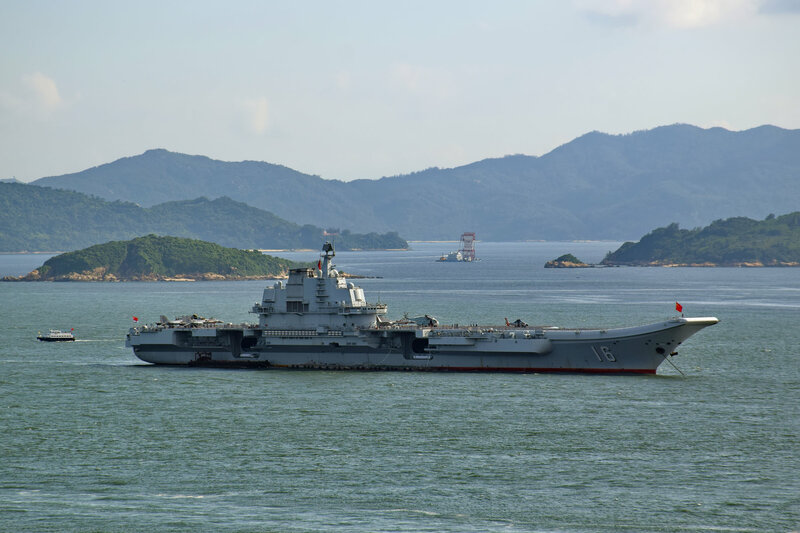 Xi has also implemented China’s first Air Defense Identification Zone (ADIZ), covering most of the East China Sea, for the purpose of preventing foreign military aircrafts from entering the area without Beijing’s explicit consent. These examples do not demonstrate Xi’s willingness to pursue a worldwide expansionist strategy but still highlight his intent to defend China’s territorial claims in what can be considered as the country’s sphere of influence, even if it implies resorting to military force. Regarding Xi’s security policy for the rest of the world, the 19th CPC National Congress in late 2017 showed China’s readiness to develop its military and defend its interests overseas. This was notably featured by the announced development of the PLA’s maritime capabilities and the opening of the first overseas military base in Djibouti. Again, these elements are not necessarily signs of an aggressive China with worldwide expansionist plans, but rather highlight Xi’s plan to be proactive in defending his country’s interests abroad, instead of being dependent on other actors which may fall outside Beijing’s control. Similarly, one of Xi’s central security measures will be to secure his flagship economic development project: The Belt and Road Initiative (BRI). This gigantic infrastructure project, seeking to guarantee China’s continuing economic growth, is threatened by a myriad of security issues in South and Central Asia, ranging from border disputes to transnational terrorism. Xi Jinping has been using a mix of diplomatic solutions, the deployment of Chinese security forces abroad, military demonstrations and international security cooperation, to ensure the security and success of the BRI. Domestic security has also been heavily marked by Xi Jinping’s footprint since 2012. China has been following a constant modernization process accompanied by a deeper integration in the international community and the world’s globalized economy since the late ‘70s. However, the chairman made it clear that, under his rule, these gradual changes would be closely monitored by tight security policies at home. With greater power comes greater accountability and, most likely, more political enemies. If he wants to secure his authority and defend his political doctrine for years to come, Xi needs to implement nationwide security measures in order to mitigate threats coming from both civil society and his political opponents. The anti-corruption campaign initiated in late 2012 was partly designed to get rid of the political opponents. This campaign’s official goal was to restore discipline within a CPC largely contaminated by corrupt officials who abused their position for their personal benefit. This measure was key to preserving the legitimacy of the party at a time where growing inequalities between Chinese citizens could sow the seeds of large-scale public discontent. However, the anti-corruption campaign has also provided Xi with an opportunity to purge the party from these voices that could contradict the chairman’s vision and contest his authority. According to Teng Biao, this campaign has similarities with the political purge conducted by Mao Zedong during the Cultural Revolution of the late ‘60s. Xi’s grand strategy for China must be implemented within a united country that do not suffer separatist claims or domestic opposition more generally. To do so, he has notably tightened the country’s security policies in Tibet and Xinjiang, two western regions which have long expressed separatist sentiments. Counterterrorism efforts have also been stepped up in China under Xi, providing opportunities and justifications for the Chinese leader to deploy security forces across these regions that can be used to fight both terror-labelled and separatist actors. To ensure stability in these sensitive environments, Xi does not hesitate to resort to the full scope of the country’s security resources, ranging from the PLA to specialized police forces and paramilitary organizations. In any case, Xi’s domestic security policies highlight a clear tightening trend compared to his predecessors Hu Jintao and Jiang Zemin. Xi’s elevation to the rank of Mao Zedong, especially regarding his unequaled grip over China’s political and military institutions, could push us to draw analogies between the current chairman’s security policies and the ones of his prominent predecessor. This would probably be an oversimplification, especially given the different historical contexts in which the two leaders evolved. Predicting a return to Mao’s era in terms of security policies would be at best inaccurate, but it is still interesting to understand how the country’s security was articulated under the reign of an uncontested leader. Mao Zedong, as the founder of the PRC and the leader of the CPC, designed the security strategy of his country according to his own ideology, which itself was impacted by the historical context of the 20th century. As a result, China’s security was entrenched in the Marxism-Leninism school of thought, using class struggle (the proletarian class being defended by the CPC) and anti-imperialism as its doctrines. Based on this framework, Yu Maochun describes Mao’s vision on Chinese security as articulated around three main strategic principles: 1) breaking with the “Old China” by cutting ties with countries that did not recognize the PRC’s legitimacy over the country (as opposed to the competing Guomintang – the nationalist government exiled in Taiwan); 2) purifying the country from all form of imperialist subversion, especially those coming from abroad; and 3) following the policy of “Leaning to One Side,” that is, siding with the superpower (the USSR) best embodying the communist ideal in a context of Cold War. Similarly, Mao did not leave any room for domestic political contention, repressing any form of separatist movement (Taiwan, Xinjiang, Tibet, Inner Mongolia), for the “greater good” of a united country behind a common cause. More importantly, Mao’s national security strategy was largely designed to ensure his own control over the CPC and the country more broadly. The Cultural Revolution he initiated in 1966 best exemplifies this trait, as it aimed at “purifying” the country (and the party) of its divergent voices at a time when the rule of the former chairman could have been challenged. In any case, whether Marxist-Leninist or Revolutionary (or both), China’s security policy under Mao was heavily influenced by ideological and doctrinal principles, the ones of a man who suffered little if any contestation at home. 21st century China will not roll back into the Mao era but will certainly be influenced by the personal philosophy of an uncontested Xi Jinping. This will be especially true if the current trend of mitigating control and criticism of Xi’s personal rule within China’s top political institution (PBSC) continues. The analysis of the current chairman’s first term seems to highlight two main patterns regarding the perspectives for China’s security policies: 1) a relatively predictable foreign security policy in line with the PRC’s foreign policy principles and its economic interests; and 2) the tightening of domestic security measures as a necessary condition to protect and preserve Xi’s personal rule. It is difficult to say whether the indefiniteness of Xi Jinping’s mandate over China would be good news for the international community, but at the very least, it will bring a sense of predictability regarding China’s security policies on the international scene. Regional countries will necessarily have to cope with a Chinese leader determined to strengthen China’s influence in the Asia Pacific region and its military control over most of the South China Sea. Similarly, the world should prepare to deal with an increased presence of the PLA overseas, wherever Chinese interests will be at stake. China has risen to superpower status and Xi Jinping is increasingly breaking away from his country’s historical low-profile attitude, to fully take on his role as one of the world’s most powerful leaders. Although this does not mean that the world, and Western countries in particular, should prepare for a large-scale conflict with the Middle Kingdom, it at least indicates that China will be a full-time actor regarding international security. Domestically, it will most likely be harder to contest Xi’s authority, and security measures seeking to control both the political elites and civil society will not become any looser. Tai Ming Cheung describes Xi Jinping’s China as a prime example of “comprehensive control state” in which “the leadership oversees a sprawling system of interlocking bureaucracies dealing with internal and external security issues in an integrated approach that emphasizes seizing control not only of traditional security concerns such as military and public security, but also of legal security (the judicial system) and information diffusion (propaganda system).” Nationwide reforms in favor of democracy, political plurality, human rights or freedom of expression will not be among the chairman’s priorities any time soon, and the concept of “national security path with Chinese (Xi) characteristics” is, now more than ever, the credo in the world’s most populous country. Another Ceasefire in Syria: Thirty Days for Peace? Is China the Answer to the North Korean Nuclear Crisis?